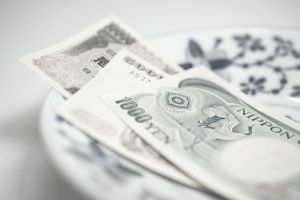 The yen carry trade is when investors borrow yen at a low-interest rate then purchase either U.S. dollars or currency in a country that pays a high interest rate on its bonds. These forex traders earn a low-risk profit. They receive high-interest rates on the money invested but pay low-interest rates on the money borrowed. The currency broker pays the difference into the trader's account each day. In April through June 2018, traders earned a 4.5% profit. That's after deducting fees, interest rates, and the impact of exchange rate fluctuations. The carry trade works great as long as the currencies remain stable. The trader can count on a steady return from the high-yield currency. The trade works even better when the currency in the high-interest rate country appreciates. When the investor redeems the bonds, he or she can pay off the loan in the low-interest currency with the stronger currency. The investor gets to pocket the difference. If enough investors do this, it boosts demand for the high-interest rate bonds. The investors can sell these bonds at a profit on the secondary market. As demand for the high-interest rate bonds increases so does demand for the currency. It boosts the value of the currency, creating further profit for holders of the higher-yielding bond. It's one reason the foreign exchange market has become the largest in the world. It trades $5.1 trillion a day. Traders get into big trouble when the reverse occurs. In a yen carry trade, it occurs if either the value of the yen increases or the value of the dollar declines. Traders have to obtain more dollars to pay back the yen they've borrowed. If the difference is enough, they could go bankrupt. Traders also get into trouble if the currency values change a lot during the year. They've got to maintain a minimum in the brokerage account. If the currency changes a lot, and the trader doesn't have enough extra cash to maintain the minimum, the broker could close the account. If that happened, the trader could lose his or her entire investment. In August 2018, the yen carry trade grew more attractive. The Bank of Japan announced it would keep interest rates low for an extended period. That's an improvement over earlier in the year. The yen had increased by 5.8% in the first three months. Investors bet a scandal would remove Prime Minister Shinzo Abe from office. That would have ended his expansive fiscal policy. Also, the Bank of Japan announced it might raise interest rates in 2019 as the economy improved. It followed almost 10 years of a weak yen that boosted the carry trade. The yen carry trade with the U.S. dollar took a brief hiatus in 2008. The Federal Reserve dropped the fed funds rate to near zero to fight the Great Recession. The yen carry trade shifted to high-yield currencies such as the Brazilian real, Australian dollar, and Turkish lira. For example, many forex traders borrowed near-zero yen to buy Australian dollars that had a 4.5% return. Trading in the yen picked up in October 2012 when Abe took office. He promised to boost economic growth by increasing government spending, lowering interest rates, and opening up trade. He accomplished the first two but had less progress on the third. Between 2010 and April 2013, the yen carry trade rose by 70%. Its share of global forex trading had grown to 23% of the total. In 2013, Abe raised consumption taxes to lower the nation's debt. That sent Japan's economy back into recession. The Bank of Japan responded with more quantitative easing. By October 2014, the yen fell to a seven-year low. It remained at those levels in 2015. The U.S. dollar rate weakened in 2017 due to uncertainty over President Trump's economic policies. It strengthened in the latter part of the year, reviving the yen to U.S. dollar carry trade. But the Bank of Japan struggles to keep the yen's value low, despite QE and low-interest rates. Forex traders purchase the yen as a hedge whenever the dollar declines. Many experts believe that the global liquidity before 2008 was due to the yen carry trade. Low-cost yen loans financed purchases of higher-yielding investments around the world. They included traditional dollar-denominated bonds, as well as home loans in South Korea and stocks in India. Japanese banks had $15 trillion in deposits to lend. The yen carry trade grew to $500 billion. Once the financial crisis hit, investors dumped their risky assets and bought yen. The yen carry trade inflated the pre-crisis bubble, and aggravated its collapse. In 2017, Japan continues to keep interest rates low. It aims to produce a cheaper yen and a stronger dollar to make its exports cheaper. Japan is also one of the largest owners of U.S. debt. It's one reason U.S. Treasury is strong, making bond yields low. It keeps long-term interest rates low even when the Federal Reserve raises short-term rates. Japan's drive to keep the yen weak relative to the dollar has other consequences. Most commodities contracts, including oil and gold, are priced in dollars. When the dollar is strong, the prices of these commodities fall. A strong dollar can also lower demand for U.S. stocks. Therefore, if you are in any of these investments, keep an eye on the yen carry trade.